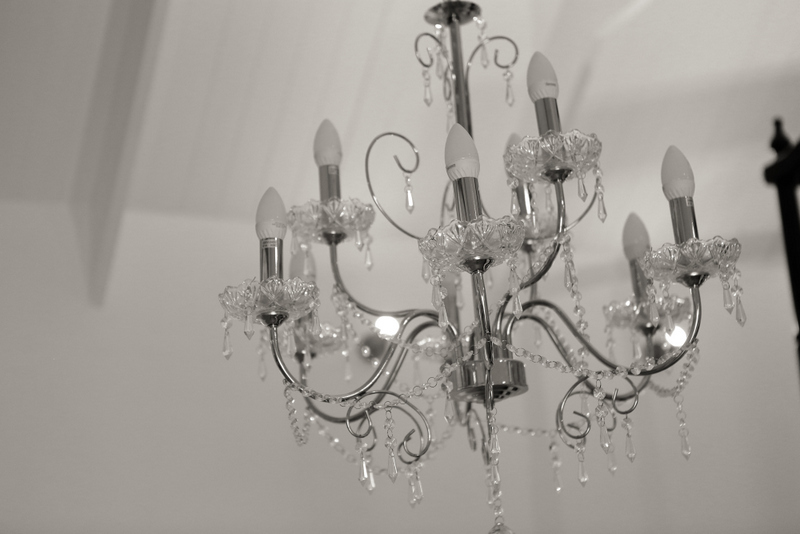 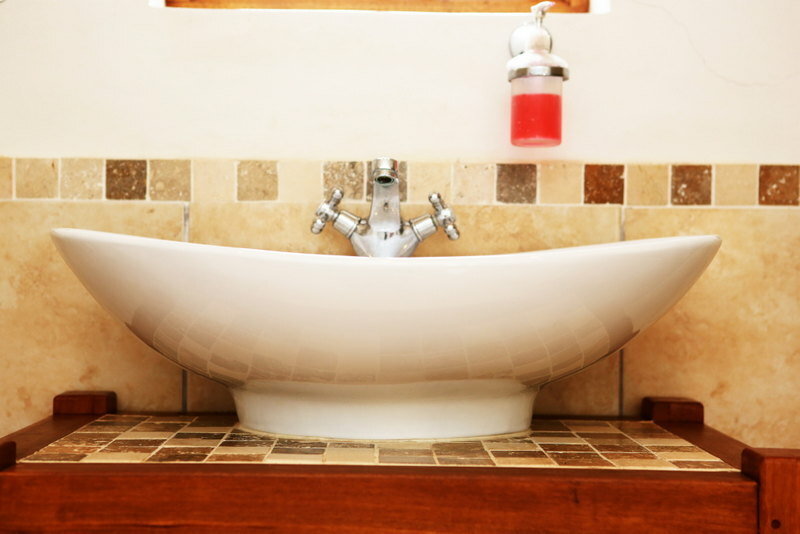 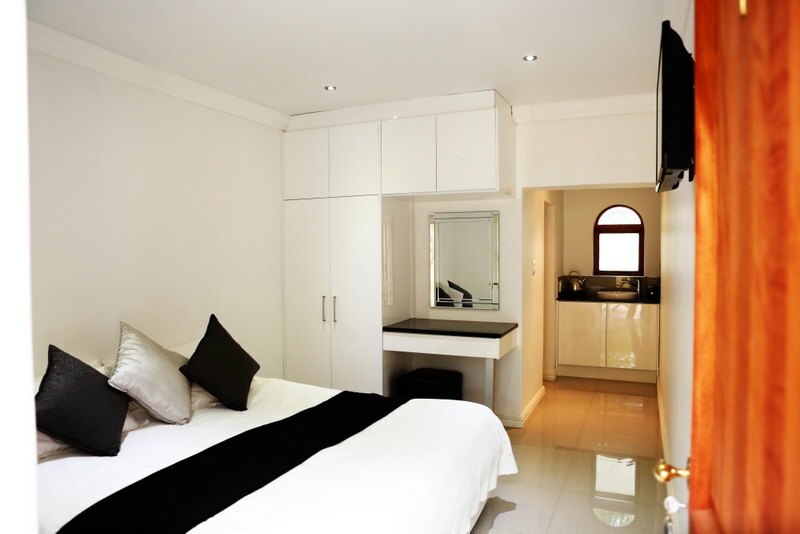 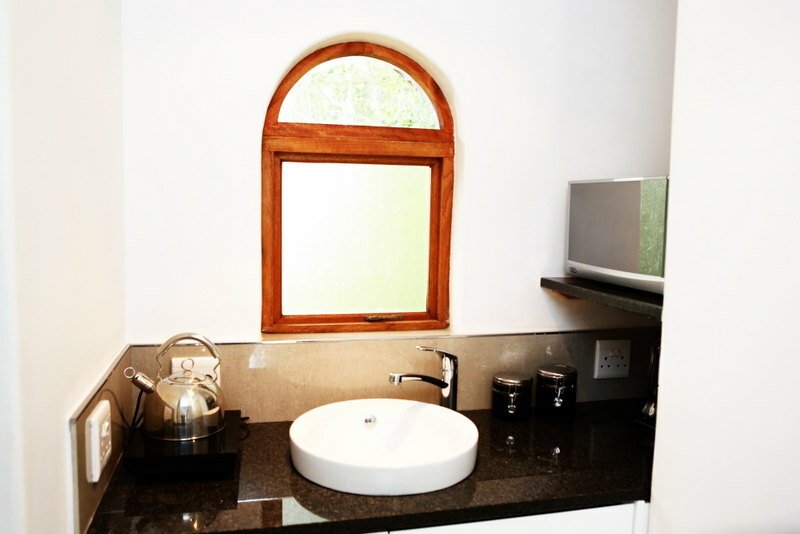 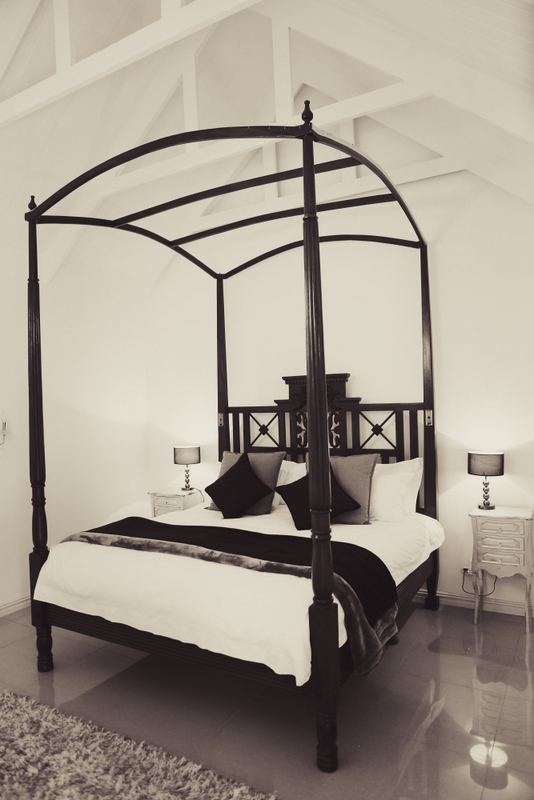 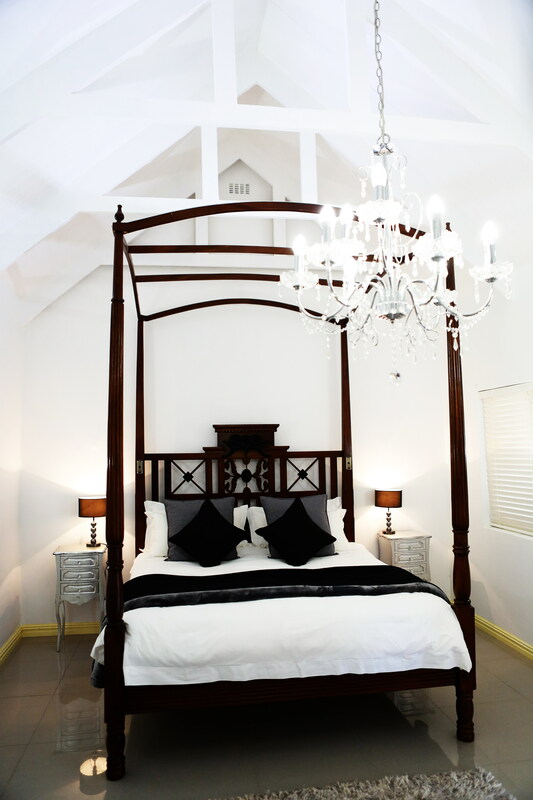 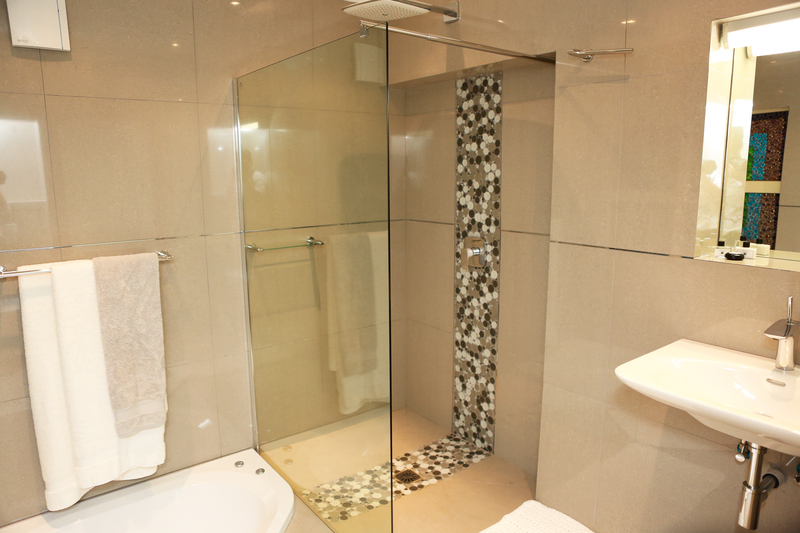 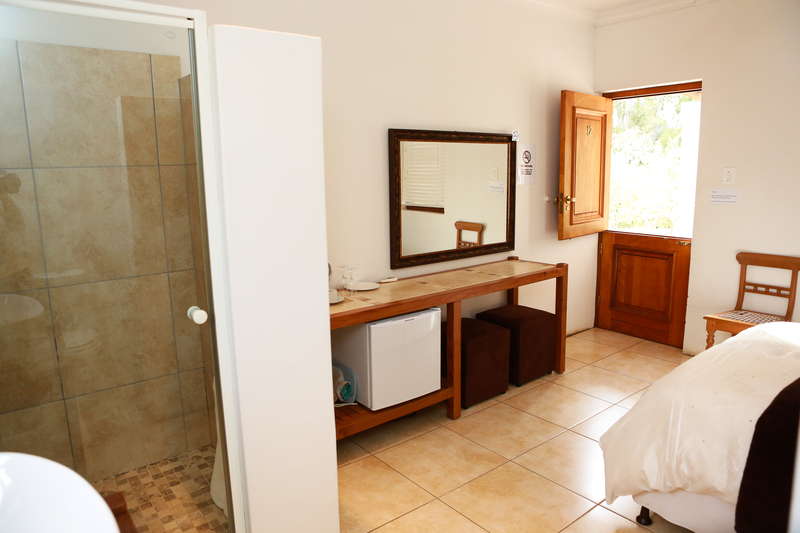 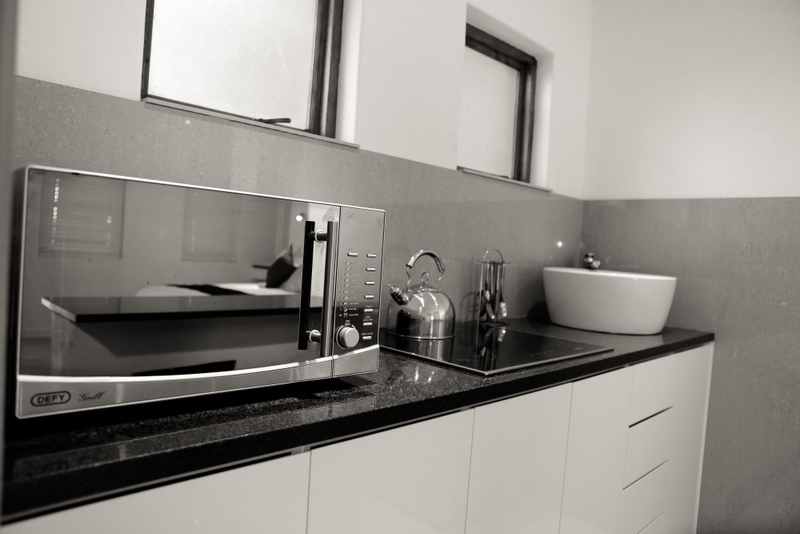 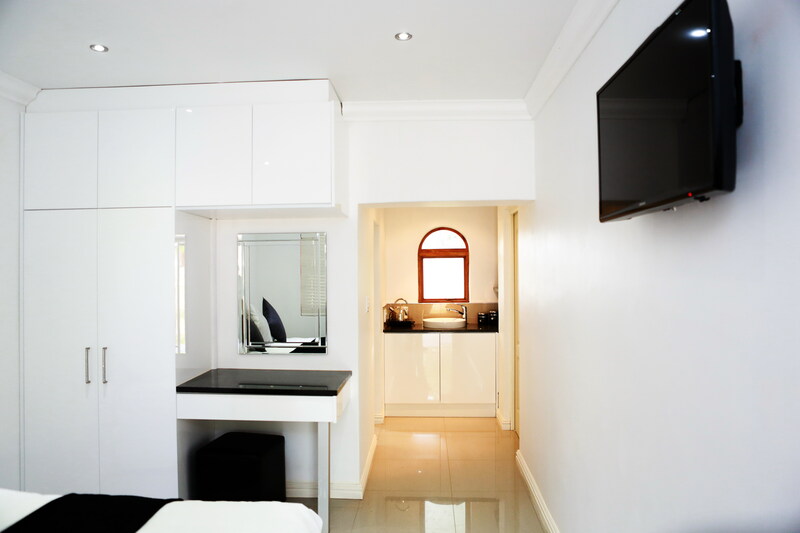 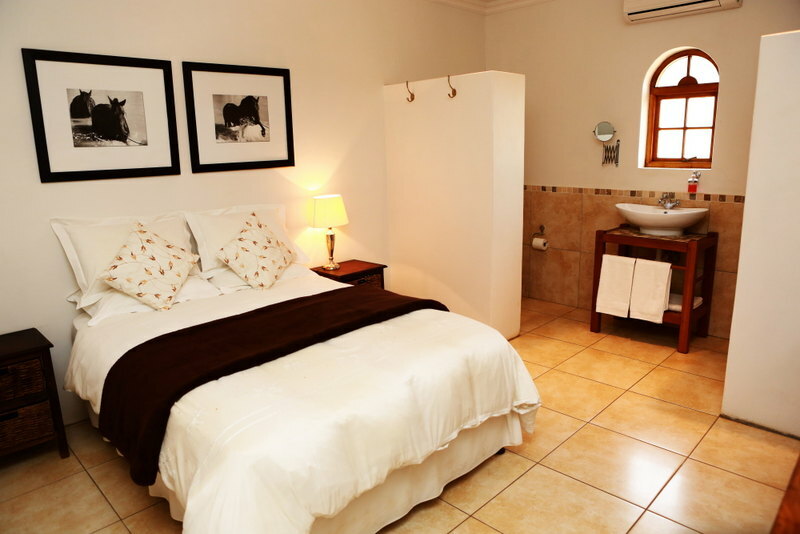 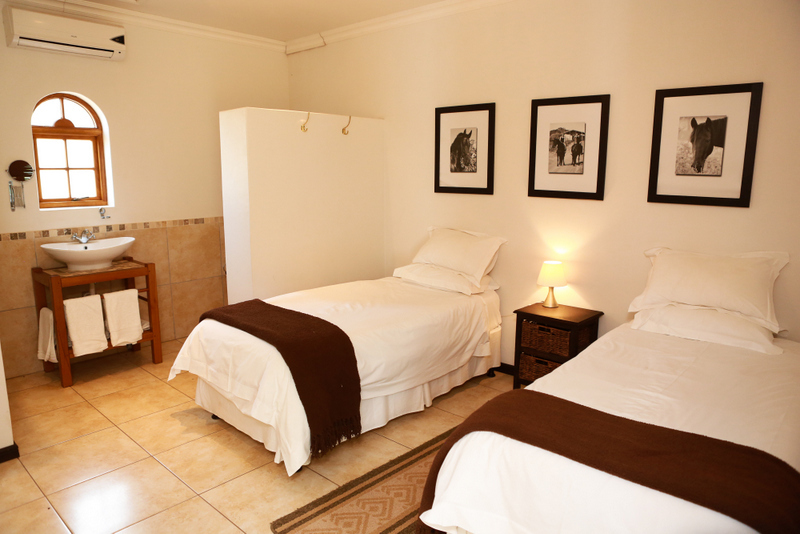 We offer two types of accommodation units – standard overnight rooms and luxury suites. 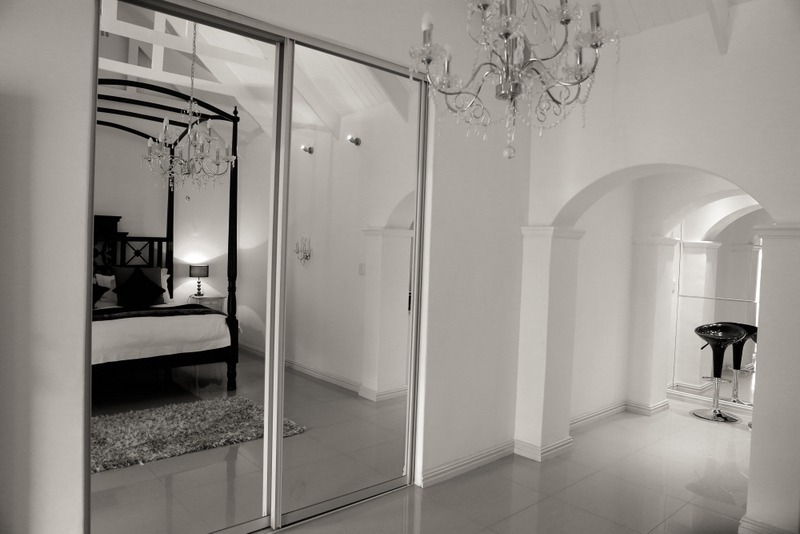 This beautifully decorated unit oozes romance with its imposing King size presidential poster bed, crystal-like chandeliers, mirrored doors and archways and lots more to pamper and to please, including a sunken Jacuzzi bath and spacious open glassed shower. 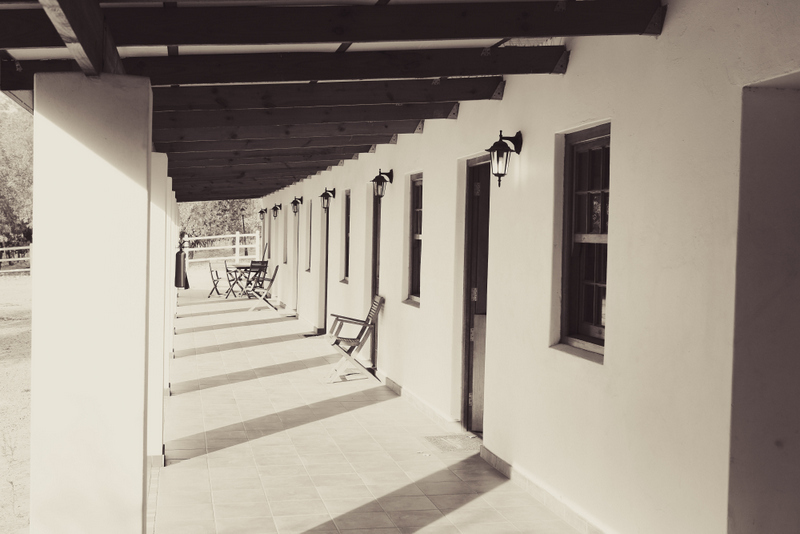 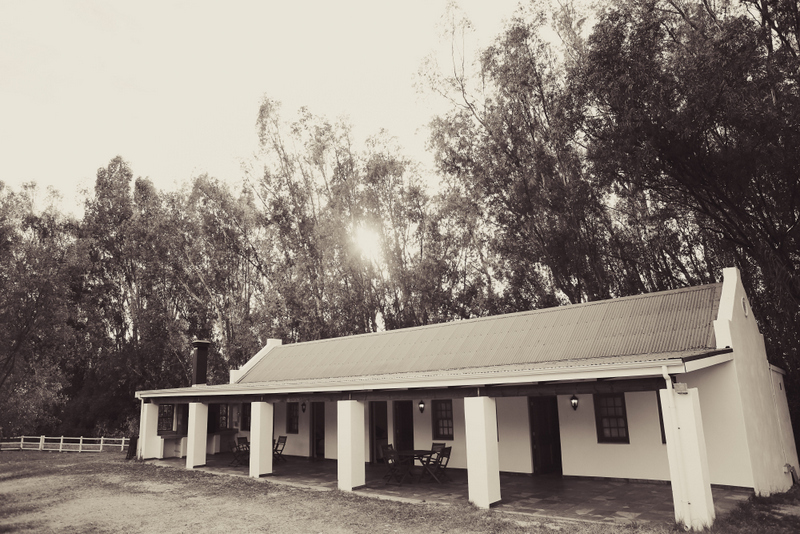 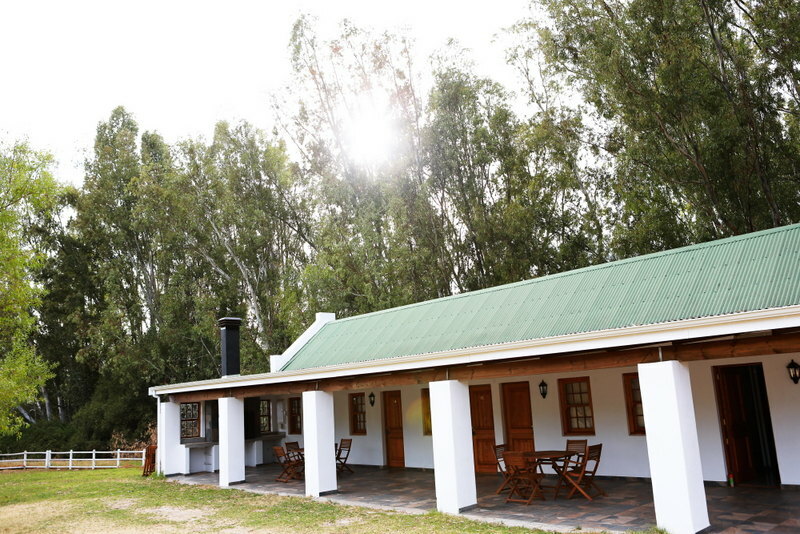 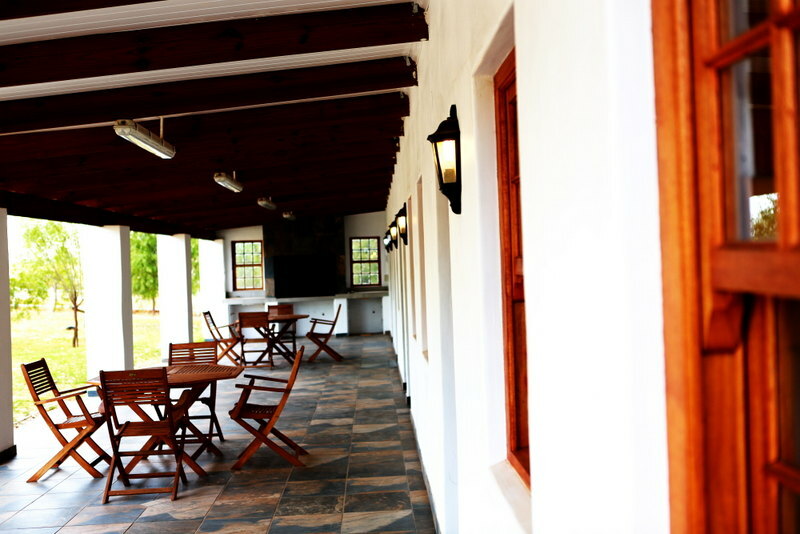 All of the units lead out onto a large porch, whereas the suites' porch has an additional built in braai – an ideal facility for those wanting to socialize with a glass of our excellent wines either before or after a wedding or function. 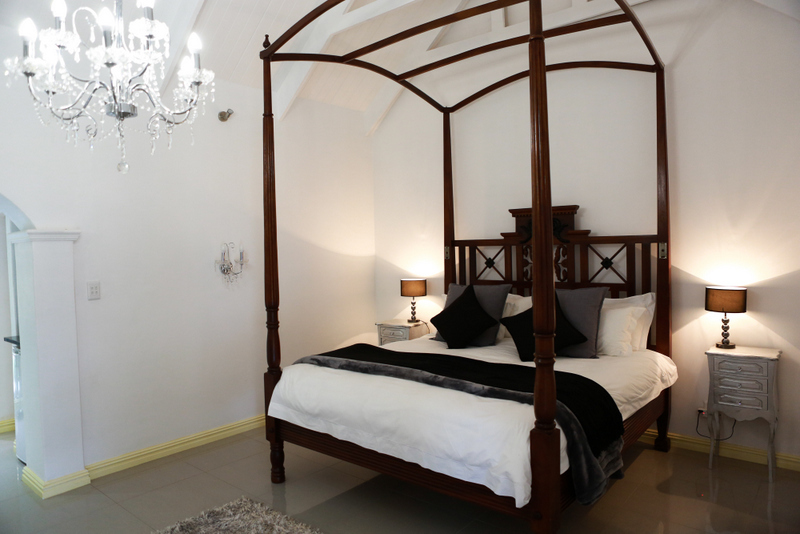 Enjoy lavish sunsets and walks through the vineyards at daybreak, go for a morning swim in the crystal clear pool overlooking the Chardonnay vineyard or simply enjoy a cup of rich coffee on the patio while taking in the sights and sounds of the Cape Winelands the way it was meant to be experienced. 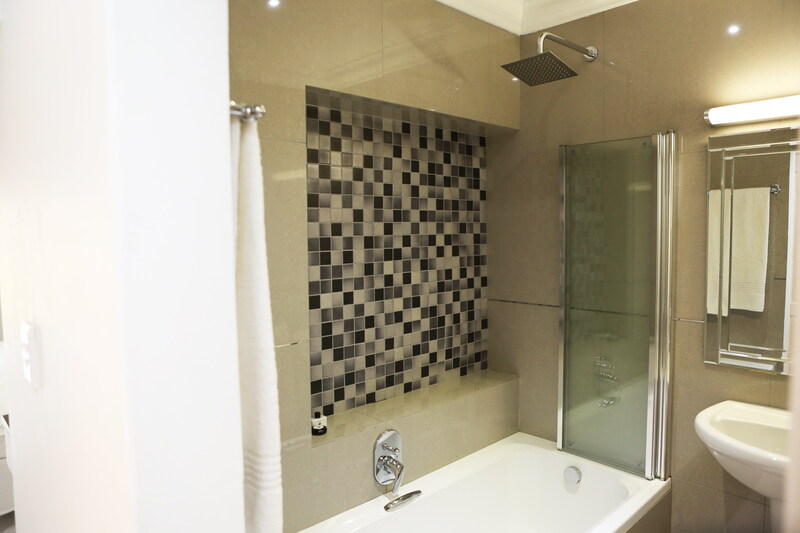 Click on any of the below pictures to enlarge.